What the science of smell can tell us about improving our healthcare marketing. Marketing your practice can be like pulling teeth. It can take strategizing, budgeting, brainstorming and still, it may or may not work. But, there is one marketing tactic that is cheap, takes no time and is guaranteed to have the word of mouth marketing spreading about your practice. What does baking have to do with attracting more patients or improving your online reviews? Before we get to the science, back in 2007, when we founded Ultrasound Dimensions, a private diagnostic medical center, no one knew who we were. We had invested everything we had in getting the practice setup with no extra money left for marketing. We knew there were long waiting lists at other centers, we knew we had a valuable service to offer, we knew we needed new patients in the door asap. We knew we had to bootstrap. We baked cookies. In a tabletop oven. Right there in our clinic. It’s been one of the easiest, cheapest and most viral marketing tools we’ve used to date. Science says that smell is the strongest of our five senses, and the one most tied to memory and emotion. So when patients would come into the office, the smell of freshly baked goods would instantly put a smile on their face. Their mood immediately changed and they would comment on how relaxed the environment was. Afterward, the reviews we received all raved about the atmosphere and pleasant smell of the office. We can experience a 40% improvement in our mood after being exposed to pleasant scents and according to a study performed by the University of Southern Brittany in France, the smell of baked goods causes us to be kinder to strangers. 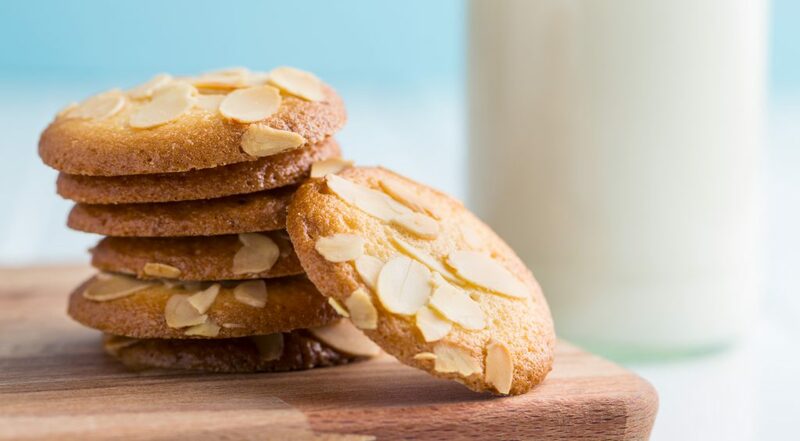 So it’s easy to see why baking in your office would boost the mood of your patients. 75% of all our emotions are due to smell, and because of this, we are 100 times more likely to remember something we smell over what we see, hear and touch. Even a year later, people can remember smells with a 65% accuracy, while our visual recall is about 50% just after three months. So according to the science, your patients are more likely to remember how your practice smelt versus how it looked! But, can smell also work against you? If you are like me, pleasant smells come to mind! Now, what do you smell when I say: Hospital? 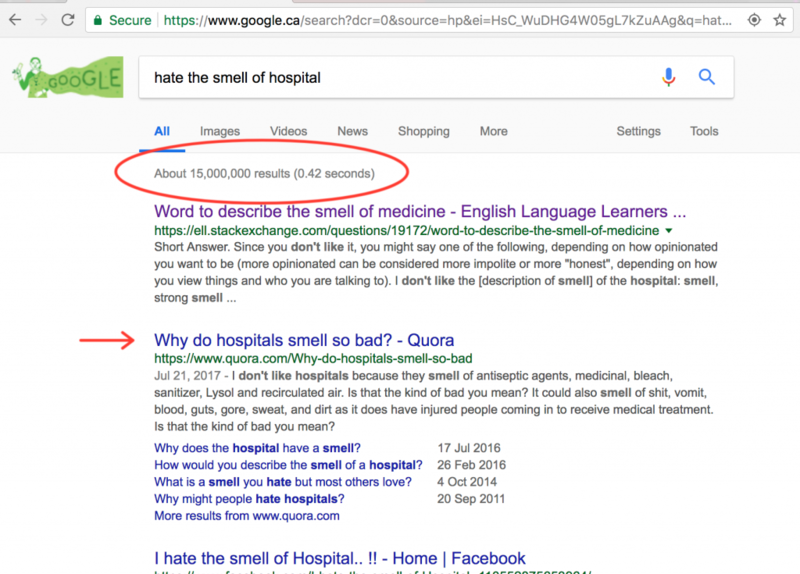 If we search google for “hate the smell of hospitals” you’ll find over 15,000,000 results. That’s a lot of negative emotions tied to the smell of hospitals. According to a 2012 study published in Psychological Science, we can smell feelings of fear and disgust through sweat, which can trigger those same emotions in us. So when patients are coming to your practice, they might be expecting that hospital smell and all the negative emotions that go along with it. But, when we use a pattern interrupt, like baking, we go right from the olfactory receptors (odor sensors) and straight to our limbic system (emotion system) to trigger familiar and pleasant emotions, that now get associated with our service. As discussed before, often what patients remember most about a visit to a practice has nothing to do with the particular service they received, they are already expecting that service, it’s the things that are different and unexpected that stand out and provide an experience worth remembering. That sweet, warm smell of baked goods in a medical center is completely surprising. You’ve exceeded their expectations the moment they’ve walked in the door. And in word of mouth marketing – exceeding expectations is the name of the game. I’ll leave the type of baking up to you but don’t underestimate how smell can impact the success of your practice.